TIP! 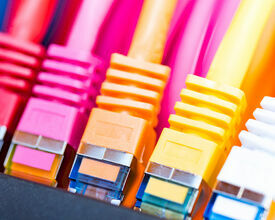 - Internet on Your Event: How Much Bandwidth Do You Need? newsinspirationTIP! - Internet on Your Event: How Much Bandwidth Do You Need? Nowadays, people expect to have internet access at all times and in all places including your event! However, this is not always as easy to arrange as it sounds. Many events still do not provide an internet connection for their participants. If there is one, it often works slowly or you have to pay a small fortune for an hour's surfing. This is no longer acceptable in our modern world and will certainly have a negative effect of your participants' experience of your event. One of the most important challenges is to accurately assess the required capacity or broadband width of your internet connection. To do this, you first need to know what your participants intend to use the internet connection for. Is it just so that delegates can check their e-mails? Or is there a press room where journalists want to send live video images through to their editorial offices? The transmission of simple text messages via Twittier requires relatively little band width. But if you attach photos and videos to your message, this changes matters completely. In addition to types of use, you will also need to assess how many people will actually make use of your network. This will depend on the type of people in your target group and how many of them will want to communicate with the outside world at the same time. To some extent, this last point will be dependent on your programme. If you have a full programme, there is a strong likelihood that everyone will want to use the internet at the same time; for example, during the coffee breaks and lunch pauses. You will need to take account of these peaks of use. To make matters more concrete, you may find the following simple calculation useful. Imagine that you are organising a congress for 100 delegates. You expect that 75 of them will want to make use of an internet connection and that two-thirds of them will want to be online at the same time. If you anticipate that this will mostly be 'basic' internet use, there is no need to go overboard when making your band width calculation. 1Mbit (megabit) per person of downstream band width for the downloading of data and a 1/2 megabit upstream per person should be more than sufficient. But for 50 simultaneous online users this means that you need 50Mbit downstream and 25 Mbit upstream. A standard ADSL- connection, which is already present at many locations, will never be able to cope with this level of use and this is just for a relatively small event of only 100 people! If you have the option to choose a venue that has taken the trouble to invest in a fibreglass internet connection, don’t hesitate! All your problems will be solved and you can offer your guests a trouble-free internet experience. When the participants at your event are often likely to be looking at the same internet page – for example, the programme of the day on the event website you can save on broadband use by installing a proxy server in your network. This allows you to save the pages that are surfed by the participants for a limited period of time. If another person wants to look at the same page within, say, the next ten minutes, this person does not need to access your network; instead the page in question will be uploaded from the local cache on the proxy server. Finally, it is important to remember that it is not only the effectiveness of the internet connection to the outside world that determines the quality of the internet experience. Your local network apparatus is just as important. Average common-or-garden routers, which regrettably are still used at some events, can often cope with no more than five people online at the same time. The capacity you need can only be provided by professional routers. So don't cut corners: it doesn't pay in the long run. Also make sure that you have sufficient IP-addresses. This is not a problem that frequently occurs, but it can happen from time to time. So don't let it happen to you! More about this topic and lots of other tips about organizing events can be fount in the book EVENTS.